The Homeroad hit the motherload with these curbside finds! How cute is this dresser revamp from Pudel-Design. I love that she used different colors! This cute bulletin/photo board from Path Before Me was made from an old frame and some twine. I love it!! 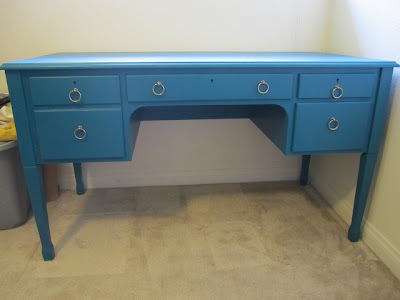 California Callahans transformed an old desk into this beauty! 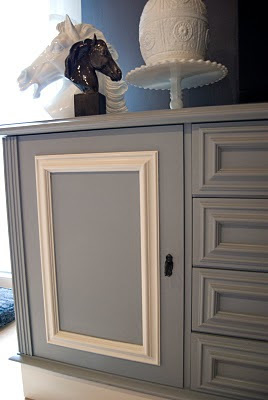 Don't you just love those keyholes and that COLOR!! Increasingly Domestic turned average jars and glass candle sticks into these adorable candy jars! 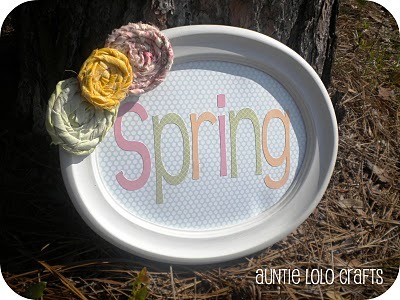 Auntie Lolo Crafts found an old frame for $1.99 at the thrift store and turned it into a darling spring sign! Mal-licious took an old bathroom light bar and transformed it into an elegant votive centerpiece...brilliant!! 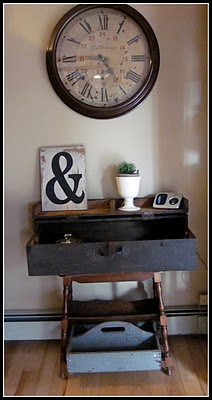 Creative Cain Cabin transformed an old TV stand into a cute place to house all of her craft stuff... cute! Can't Stop Making Things found a wooden bunny thingy at a thrift store, brought it home and made it a super cute chalkboard! 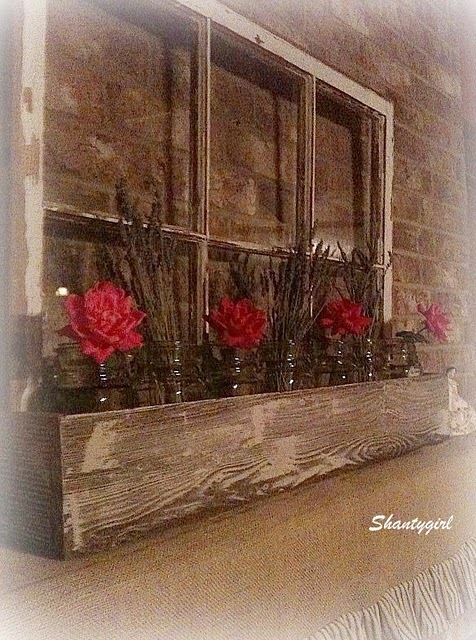 I love the planter-turned-chalk holder! If you were featured, grab this button. If you linked up your trash, grab this button. 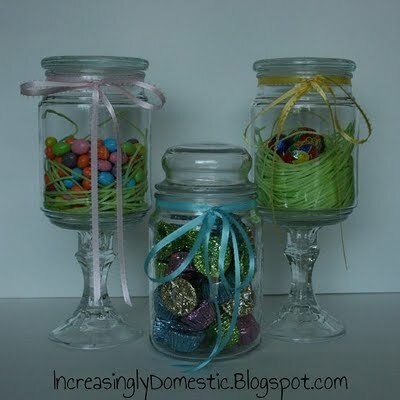 ...AND don't forget to check out all of the giveaways that we are hosting this week at our Giveaway EGGstravaganza!! You don't want to miss them! 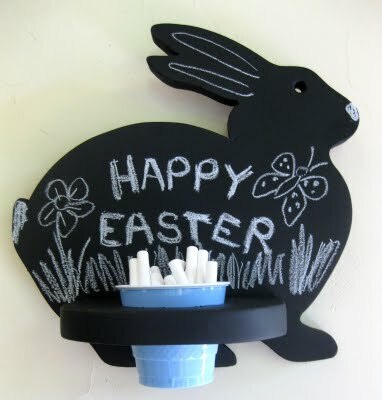 What a lovely surprise to open up your site and find my chalkboard bunny. Have a happy Easter! I am a Goodwill addict so this is the perfect place for me!